Aldi Nord is France's second largest discounter in terms of retail sales, but far behind rival Schwarz Group's Lidl. Breaking-free from its suburban habitat, Aldi Nord is to open stores in major French city centres, French retail magazine LSA reports. The retailer has reportedly already opened a 1,400 sq m store in Nice (Southern France), as well as its first outlet in the French capital city, Paris. The latter is more compact, sized at 980 sq m and carries the discounter's latest concept, focusing on a more visually engaging shopping experience. As much as these developments are ground breaking for the French retail scene, it is not surprising and echoes the efforts undertaken by Aldi Nord in other European countries recently to make its stores more appealing. The discounter has traditionally ostracised itself from affluent French urban customers to be closer to cash-stretched shoppers. Further, the retailer has sought to contain real-estate costs, while enjoying the space available in its standardised store concept. Even so, this preference is not a hard and fast rule, given Aldi Nord is used to setting up stalls in urban centres when needed (eg. Hamburg, Berlin). Despite enjoying nearly 900 stores in France, Aldi Nord’s presence is low-key, to say the least. While it is too early to say if the new concept will be rolled-out on a wide scale, we believe it will contribute in reducing the banner's down-market image. This new shopping atmosphere is likely to go hand-in-hand with new features and added ranges. A welcome change, which should translate into improved performance; and may necessitate LZ Retailytics to revise its forecast upwards. With the introduction of Lidl's supermarket strategy, discounters in France are now enjoying more room for experimentation in order to match evolving consumer needs. The Leader Price pilots unveiled recently are particularly appealing, with a more qualitative offering and organic products displayed on low shelves, for instance. This follows the Europe-wide ‘supermarketisation’ trend, which the French sarcastically label as "embourgeoisement" (gentrification). A slippery slope for Aldi Nord to get onto? Not really, given the true fundamentals will remain, but something had to be done. 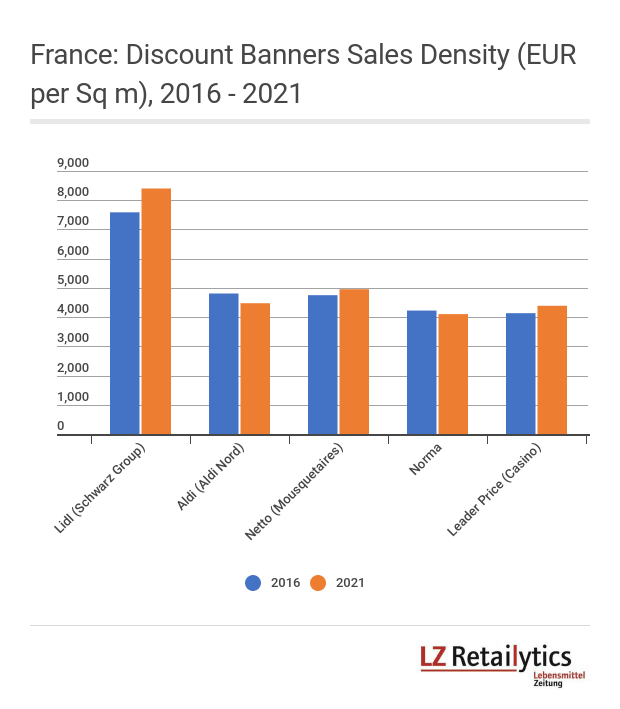 As the LZ Retailytics graph below shows, old-school discounters Aldi Nord and Norma were coincidently expected to be the underperformers in France. The challenge for Aldi will be to recruit new customers while securing its existing clientele. Last but not least, in a saturated market such as France, all retailers are looking to establish a strong presence in French city centres in general – and Paris in particular. Barring a few units, we feel it will be difficult for Aldi to elbow its way to secure urban locations with sufficient space for its concept, on a wider scale. 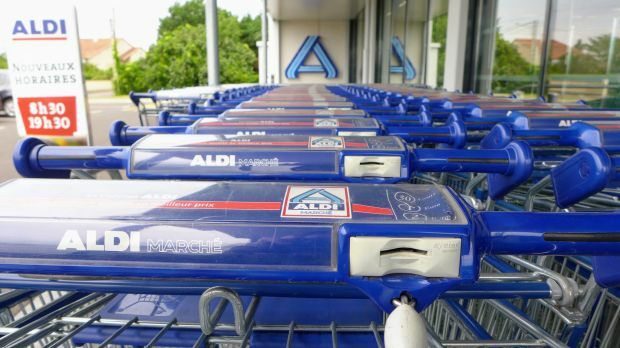 Discounters which have up until now held dear the fundamentals of hard discount – Aldi Nord and Norma – are expected to be the under-performers in France.